Public School, Private School: Which is Best? Choosing your child’s school can be a big decision. Many parents feel that public school is the only way to educate their child, and some parents believe that a private school education is the only means to a good education. For children who are already doing well in school, have friends and activities they enjoy, changing schools shouldn’t be an issue. 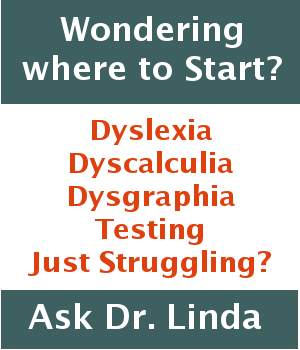 However, if school seems too easy and not challenging enough for your child or the school is struggling overall with test scores and standards, you might want to consider changing. Choosing a different school for your child can become an issue if your children aren’t doing as well as they could. Perhaps they’re struggling but don’t really qualify for for special help. If your child is happy at their school, it’s probably a better choice to find a tutor than switch schools. If you’re considering changing schools, the question isn’t necessarily whether private schools are better than public schools or vice versa but the quality of each particular school. Some public schools are excellent, some not. Likewise, some private schools are excellent and some not. In general, public schools often offer more after school activities, a wider range of course selection and more services. Private schools may offer smaller classes and more individualized instruction. Unfortunately, there’s no absolute answer. It all depends on the best school for your child, not what kind of school. As a family, you need to make a list of the pros and cons of your public school and the private schools in your price range. Then shop around and spend some time visiting the private schools. If you live in an area where you can choose which public school your child goes to, you’ll also want to visit several public schools. Remember though, your child, who will be going to whatever school is chosen, needs to be comfortable in that school. No one can learn when they are anxious or unhappy. Once I worked with a 14-year-old girl whose parents wanted her to go to a nearby private high school. She didn’t want to leave her public school. She was comfortable there. One day when she was leaving my office, I introduced her to this cute football player sitting in the waiting room. He was a student in the private school she was refusing to go to. She looked at him and said, “Oh, hi. You know I’ll be going to your school in September.” By the way, she did go to the private school the next year, but it wasn’t the right choice. She ended up back at the public school where her needs were better met. The bottom line is to choose the school that best meets your child’s needs and uses methods that are consistent with those needs. Be sure to read my recent post on choosing the right college for your child. Please leave a comment. Let us know how you’ve chosen schools for your children.